WARNING! 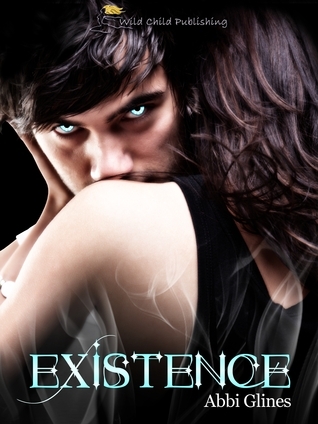 This review contains SPOILERS, if you haven’t read Existence then don’t read this review!!! The high school quarterback and reigning heartthrob, Leif Montgomery, is missing. While the town is in a frenzy of worry, Pagan is a nervous wreck for other reasons. Apparently good ‘ol Leif isn’t your average teenage boy. He isn’t even human. According to Death, Leif doesn’t have a soul. The quarterback may have skipped town but he’s still showing up in Pagan’s dreams… uninvited. I honestly forgot I had this book until I looked at the bottom of my TBR stake and found it there. Since the first one was fun to reread, even though the story was slightly flawed and simple, I decided to continue the series! What the f*** did I just read? 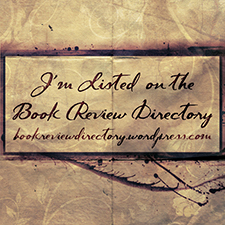 If you read the review that I did for the first book I mentioned that it would have been better with an editor. That’s not the case for this book. Oh no, this book needed to go back to basic grade school English for some grammar lessons! While reading I was tempted to fix all of the mistakes with a red pen, however, I thought better of it when I realized that I would make the pages bleed…And yes, this book sadly had an editor listed, but apparently they didn’t know how to use the most basic commas (or verb tense in some cases). So this editor wanted to eat grandma instead of telling her to eat (You know: ‘Let’s eat, Grandma’ instead of Let’s eat Grandma)! Aside from the grammar this book was a train wreck that got worse as the pages went on. The story started out fine, until the author explained what Leif was and who the bad guy of this tale was going to be. All I’m saying is that Voodoo is the big baddie in this story…Yea, voodoo. But it’s okay, because Pagan is dating Death himself and no one messes with Death, right? Wrong, they mess with Dank and time and time again he makes the same mistakes that lead Pagan into getting herself into trouble! For a being that probably existed at the beginning of humanity, Dank is a dense character. He’s cocky, which gets Pagan into trouble, and he doesn’t learn from his mistakes. He also has an issue controlling human emotions such as jealousy and rage, especially when Pagan is concerned because even though she won’t leave him he still gets pissy when another guy even looks in her general direction. In this installment, Dank’s character development went downhill fast, which can happen, however, his character lost all sympathy from me. Also, his name is too ironic, Dankmar is an old name meaning famous for his spirit. Glines, do you need to hit it on the nose any harder? Pagan got really annoying in this book. Her character is very static. She didn’t change any from the last book, her attitude didn’t change, and there was no character development what’s so ever. A piece of cardboard probably has more dimension and character to it than Pagan. By the end of the book her character screamed Mary Sue to me, and honestly, I would not have shed a tear if her soul ended up trapped in Hell forever. Leif wasn’t any better. Like Dank, his character development took a turn for the worst. In a nut shell, he is a weak, ball less, and stalker-ish Voodoo spirit or something. Yea, big softy that felt bad for causing Pagan to almost die is weak and psychotic. Again, Glines really doesn’t like noses because Leif’s name is like Dank’s. Leif has Scandinavian origin, coming from Old Norse meaning heir. Though why a voodoo spirit would give their child a name from a different race (with a totally different belief system) is beyond me! The minor characters were so much more interesting than the main characters. Honestly, if she wrote a story about Miranda and Wyatt I would probably read it because I loved those two more than Pagan and Dank! However, Pagan’s mother I could have done without. The mother did something big and awful and Glines barely touched on it. The mother should have been beside herself, possibly becoming suicidal for what her actions did to Pagan. Instead, the subject was blown up and then left on a back burner, like the author didn’t know how to write the mother’s reactions and decided not to bother with it. Finally, the main fight scene was a total let down. The author built it up and up for a good chunk of the book, only to have a show of muscle be what saved Pagan. Yea, this scene put the final knife in this book. It was disappointing, infuriating, underwhelming, and actually a bit sexist. All around, it left a bad taste in my mouth. This book tried too hard to break out of its Young Adult shell to be a part of the New Adult genre. With that said, this book is not for the faint of heart. There are some crude things that the author briefly describes, but gives enough information for a detailed mental image. The main characters of this story were unredeemable in every way, and Pagan is as flat as a piece of paper between two marble slabs. The minor characters (for the most part) were the shining light of the book. Glines can’t write from the male perspective or do intensive research on her subjects. The author also can’t seem to write realistic reactions from her characters. The dialogue was horrendous and half-done, like the research. The main battle was underwhelming and the story ended with a prom scene and graduation (oooooo, exciting!). Also, the title of this story makes no sense. Predestined literally means determine (an outcome or course of events) in advance by divine will or fate. The only ‘divine will’ in this book with that kind of power, as the author has set up, would be this faceless Creator mentioned a few times. However, this Creator is as useless as an oxygen tank for a fish underwater. There’s nothing about this character that screams divine, or powerful. Instead, they’re a wishy-washy character that is empathetic, even when it’s their curtains getting pissed on by the voodoo spirits. Instead, this book should have been called Restitution. Predestined had a few shining aspects that were completely muddied by the rest of the book. I enjoyed the minor characters and the concept of souls and soulmates. However, the rest of the book drove me insane. The grammar was horrendous, even though it had an editor listed. If I gave this to one of my English teachers the book would’ve come back bleeding with a pen stabbed through the back. The research for this book was half-assed, the dialogue for the New Orleans characters was hard to read, and the book had enough plot holes to give Dr. Who a run for its money. Overall, this book has ruined any chance of me finishing the series. I just can’t do it. Abbi Glines, I wish you luck in the future, however, I doubt I will ever chance reading one of your books again to see if you’ve gotten better.